Family is a Grantham based Cognitive Behavioural Therapy group for parents – including those with an autistic child. Children learn via their cognitive process. They are constantly receiving and retaining information from everything they see, do, hear, witness, touch, taste… but children are psychologically ‘tuned in’ with their primary carer. Therefore, cognitive behavioural therapy is quicker, more effective and longer lasting when it is delivered via the parent. Click an icon to browse their on-line media. Look for Groups in Facebook margin and see what members are saying. Have a look at the parents page for information and resources. The Caldwell Autism Foundation is building a network of skilled practitioners across the UK to provide Responsive Communication support. Click icon for the website. It seeks to address the needs of hard to reach individuals. Click red play button for a list of video clips. They offer detailed insights into the way the autistic mind works. The Caldwell Medical Centre is also listed on the NHS website. Click icon to view Options helpsheet, Facing food challenges for those with autism & sensory processing differences. No — autism is a life-long condition. But there are a range of methods of enabling and assisting learning and development. If you are contemplating alternative medicine please click on A Cautionary Tale. Establishing the effectiveness of an approach to helping children with autism can be vexing. 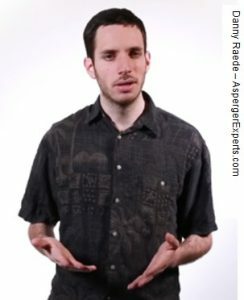 The Rapid Prompting Method (RPM) is a relatively new communication technique developed for people with severe autism. It is controversial and is, at best, only applicable in a minority of cases. See What is RPM?. Here is an intelligent Critique. The author believes that the method is still at an exploratory stage. He is, at time of writing, sceptical about its potential. Danny Raede has discovered for himself ways of understanding and coping with the difficulties he experiences as someone on the spectrum. He has formed Asperger Experts to guide and support others in the same boat. See: website basics blog e.g. Be with that is a handy idea and technique to help to cope when feeling overwhelmed. See Kooth on-line support in Growing up or Cognitive Behavioural Therapy in Adults. To ease symptoms of stress, you might consider aroma-therapy or reflexology – pictured. A lot of people are talking about Mindfulness these days. It offers a gentle and persistent approach towards a more balanced way of functioning. It is backed up by recent scientific research, which can help the reader to understand how and why it works. You might not want to follow all the instructions slavishly in order to make it work for you. Also, after an initial beneficial phase it may become less effective and more frustrating. In that case persistence may pay off, or you might come back to it again at a later date. colleagues around the world. Find out more at: Good Reads Amazon (See reviews) Library record (Should have a CD). There are More books from the library on Mindfulness with accompanying CDs. Where funds allow it may be possible to adapt a room in your own home. GAIN cannot recommend any items of equipment or their use. An occupational therapist is needed to advise on what would be safe and effective. Just to give you an idea of what is available, here is one source of sensory equipment. Here are some ideas of who might benefit and what could be selected. While autism is about development rather than mental health, people with autism may have mental health issues too. YoungMinds is a UK charity that offers information to young people and children about mental health and emotional wellbeing. See: introduction website feelings & symptoms CAMHS-guide See also CAMHS below. Childline is a free, private and confidential service where you can be yourself. Get in touch about anything: online, on the phone at any time. See website. Samaritans offer a safe place to talk at any time, in your own way – about anthing that is getting to you. See website. Please be aware that we, at GAIN, are not qualified to give advice. See disclaimer.